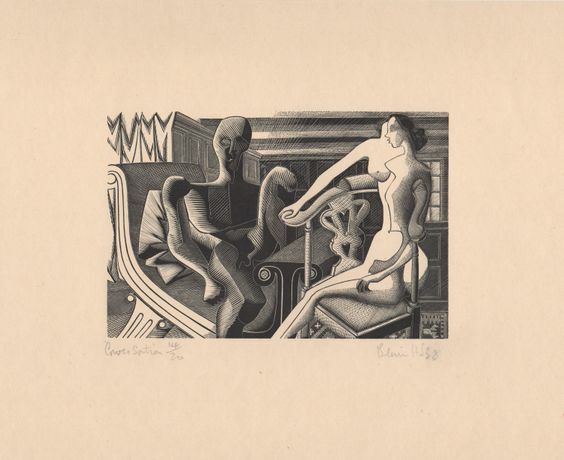 Blair Hughes-Stanton (1902–81) was renowned in his lifetime principally for his wood-engravings, for the unusual expressiveness and fineness of his line and for his devotion to the figure. This show is a unique attempt at a comprehensive survey of his work in this medium. The 400 engravings include the three dozen or so of his independent, intensely personal, engravings, and ten times that number for more than 40 private press publications in the flowering of that tradition between the two World Wars. 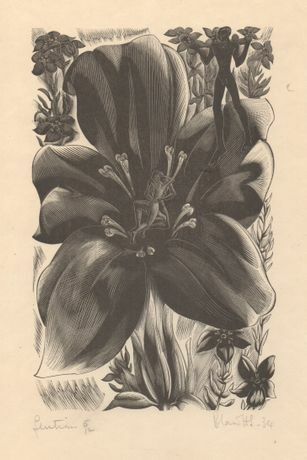 The engravings are now not as well known as they might be since they were printed in small editions and the private press books themselves were also in limited editions and hardly ever on public view. 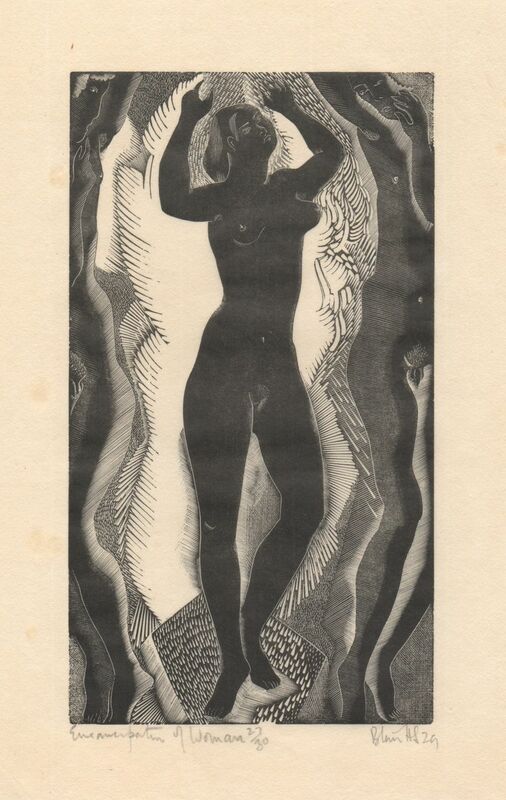 Of the earliest engravings only a few hand-prints were taken and the blocks lost in the 1928 flood of the Thames; and the most ambitious, independent, semi-abstract images engraved in the late 1930s were again, perhaps because offinancial constraints, only printed in tiny editions. The engravings on end-grain boxwood were always printed in black. Four multi-block engravings on long-grain pearwood from the mid 1930s introduced colour and another four from around 1950 experimented with the combination of pearwood and lino blocks. The final wood-engravings, for Conrad’s Beast in the Jungle, published by the Allen Press in 1963, were printed in grey and overprinted with coloured abstract shapes from lino. How did Blair Hughes-Stanton develop his remarkable facility in this intractable medium so quickly? 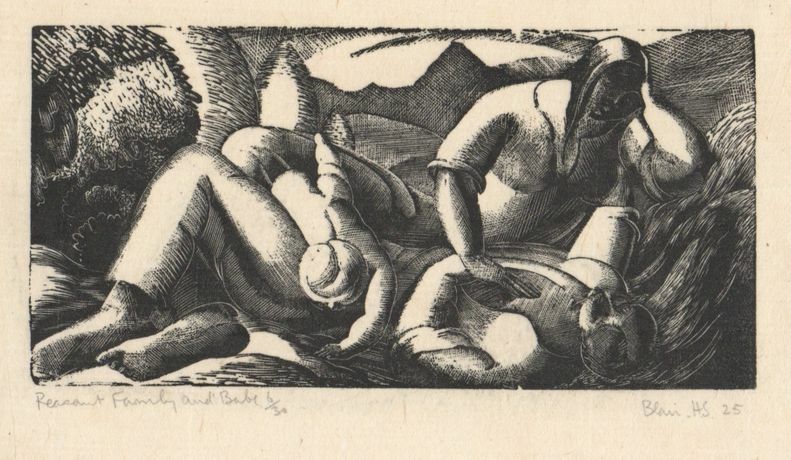 By the time he was introduced to wood-engraving in 1924, at the age of 22, he had already been drawing solidly for six years. At 16 his father, the respected landscape painter, Sir Herbert Hughes-Stanton, had set him to draw, with charcoal, a wooden figure of a nun... for six months. The following year his formal training started at the Byam Shaw School of Art where the students were set to draw the figure of a laughing fawn with a 6H pencil... for a whole year! One of the inspirational teachers there was Leon Underwood who in 1921 set up his own school in Hammersmith. Hughes-Stanton was one of the first students, initially only in the evenings, as he was officially attending the Royal Academy Schools, but he spent increasing amounts of time at the Leon Underwood School of Painting and Sculpture, drawing from life all day. One of his fellow students (who included Henry Moore, Eileen Agar and his future first wife Gertrude Hermes) brought wood-engraving tools back from Paris where she had studied under Demetrius Galanis, known for his use of the multiple tool, which engraves several parallel lines at once. The whole group taught themselves, Hughes-Stanton finding that he was less interested in the contrast of black and white than in the tones that he could achieve with finely engraved lines, quickly rejecting the multiple tool to depend on his own eyesight and control, and finding his own means of expression. His earliest commission came in 1926 for TE Lawrence’s privately printed Seven Pillars of Wisdom. Numerous commissions followed, including Pilgrim’s Progress and Apochrypha for the Cresset Press and Birds, Beasts and Flowers, a seminal collaboration with DH Lawrence, an adored friend and mentor. His prolific output as resident artist for three years at the Gregynog Press in Wales included exquisite work for Milton’s Comus and Four Poems, Samuel Butler’s Erewhon, the Revelation of Saint John the Divine and The Lamentations of Jeremiah. After leaving Gregynog he worked for several private presses in 1934 and set up his own Gemini Press, printing the text and engraving 23 full-page blocks for the extraordinary collaboration with his second wife, the poet Ida Graves, Epithalamion. The freedom to engrave what he wanted, and the interplay between his engravings and his paintings, led to the series of brilliant, semi-abstract prints mentioned above which show him at the height of his powers, acknowledged by the award of the International Prize at the Venice Biennale of 1938. After the second World War, although commissions for private press book declined, his career was extended with work for five complex books for the Allen Press in California; and his printmaking developed into large multi-coloured lino-engravings, again of incredible complexity, which will be shown later in the year, at North House Gallery, which was his home and studio in the last thirty seven years of his life.